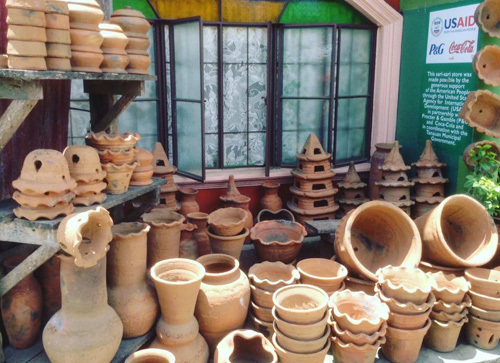 The potters of Tanauan, Leyte have been with us from since way back when. 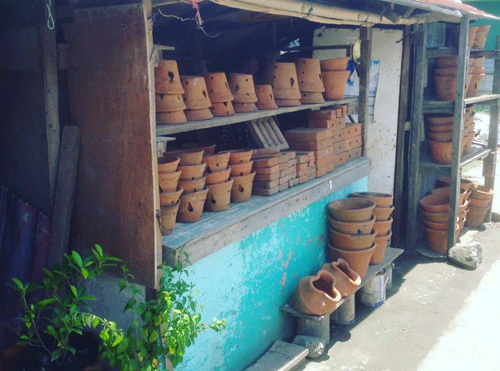 It's common practice for homeowners and garden enthusiasts to head there for their gardening pot and clay cooking pot needs. This earthen-wares have been a part of our tradition hasn't it? 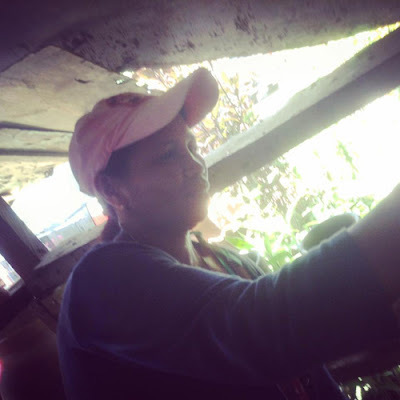 It has been a trade, an art and a livelihood for many of them and we Leyteños ought to be good supporters and allow them not only to continue but to flourish. A knockout landscape is only 3 towns away from TC, what are we waiting for? Classic, conventional pots, Zen garden-inspired and curvy jars, it's all there. Demand for bricks are increasing too. Jars, pots of all sizes. Dilemma. 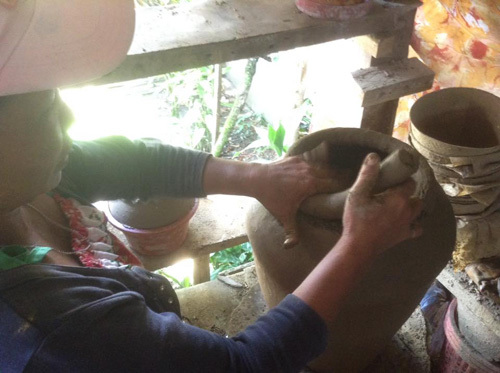 This lady potter makes close to 20 per day depending on the demand. 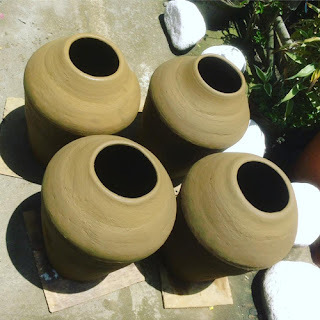 Sad to report though that since Typhoon Yolanda, the mountain-scape changed in Tanauan and the quality of the soil has decreased, they are are now filled with pebbles and other artifacts making the clay product not as pristine as I remember but the potters are doing their best. 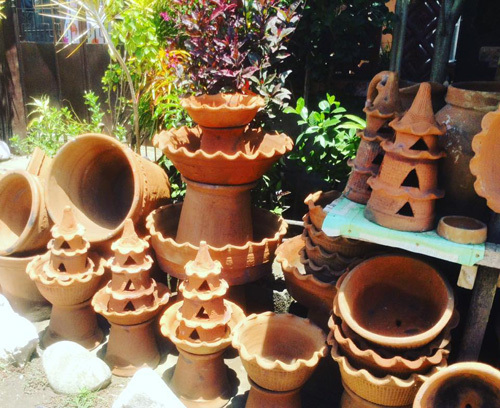 Kudos to all the potters!